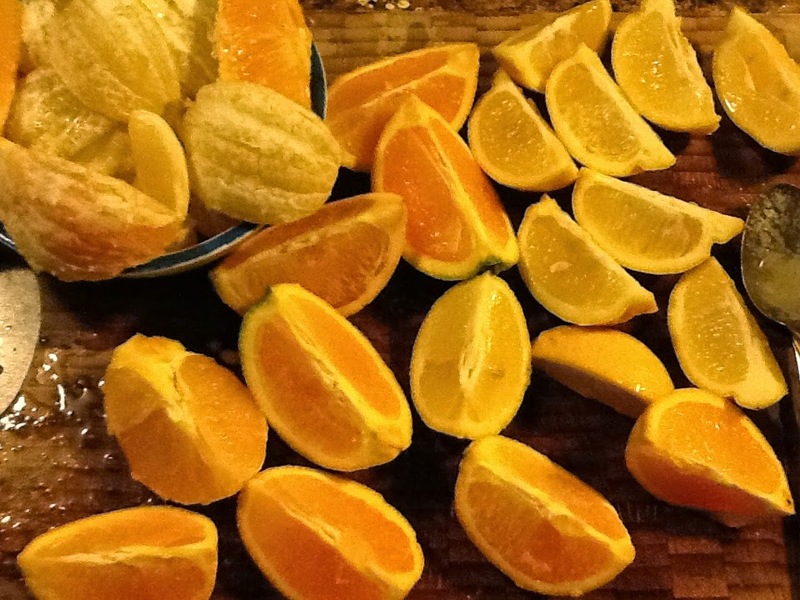 Citrus fruits, especially lemons, are refreshing and uplifting just like a warm, sunny day. In aromatherapy, citrus essential oils are often used to enliven one’s mood. 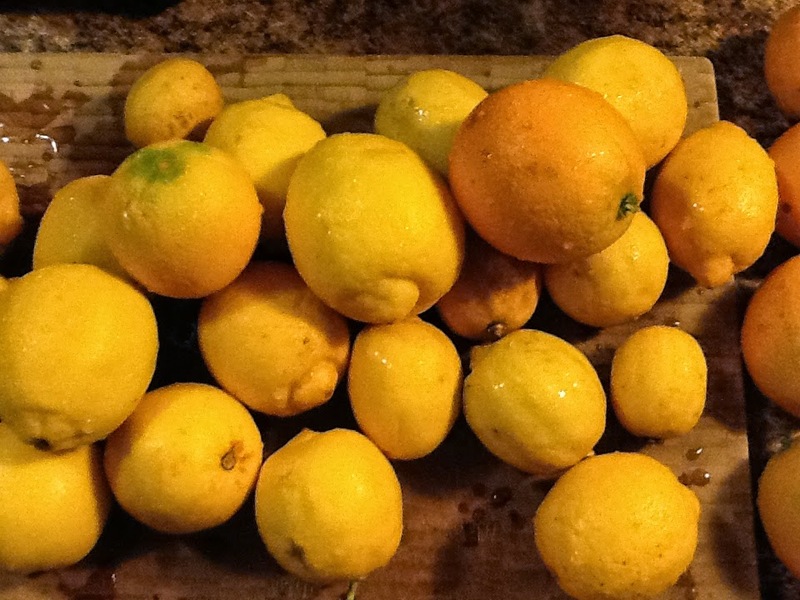 So what do you do when life, or your CSA (community supported agriculture), hands you lemons? 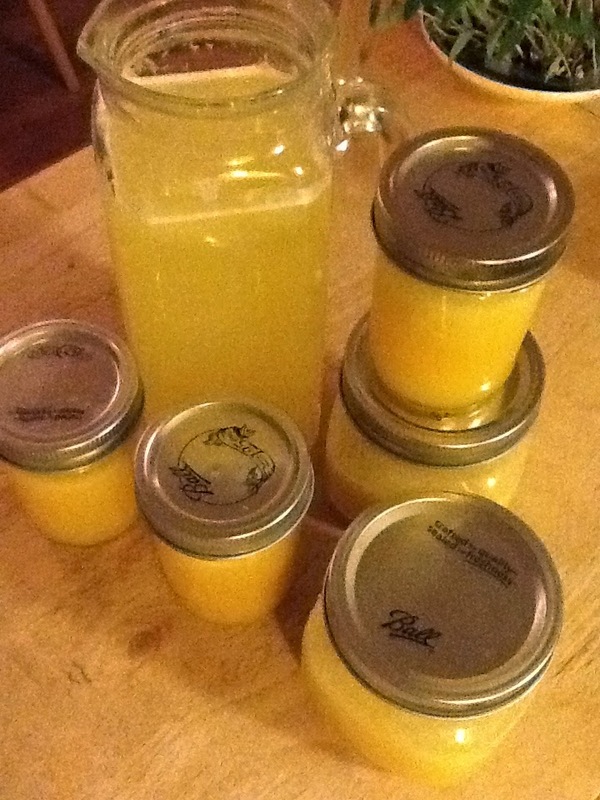 During citrus season I make and freeze lemonade concentrate. I try to make enough to last us all summer long. This blend is mostly lemons, with a few oranges. 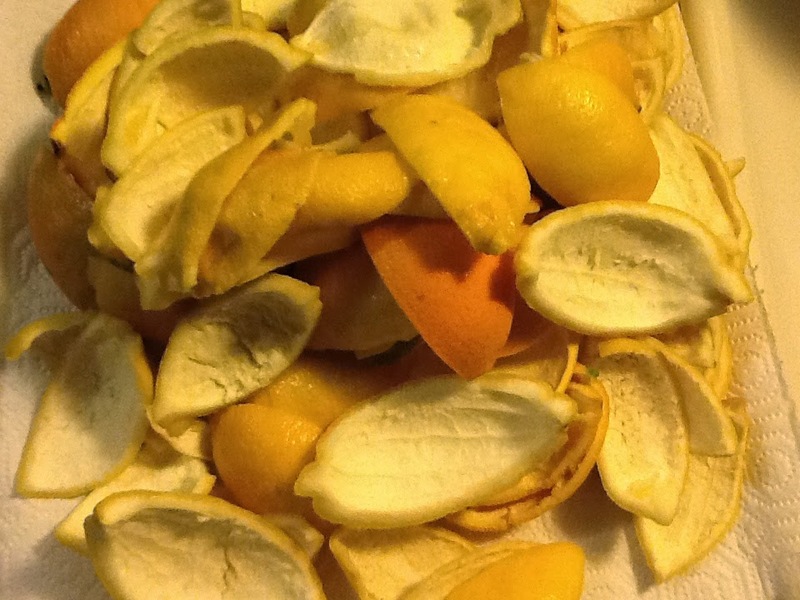 I begin by washing the fruit, quartering, and peeling all of them. Save the peels! 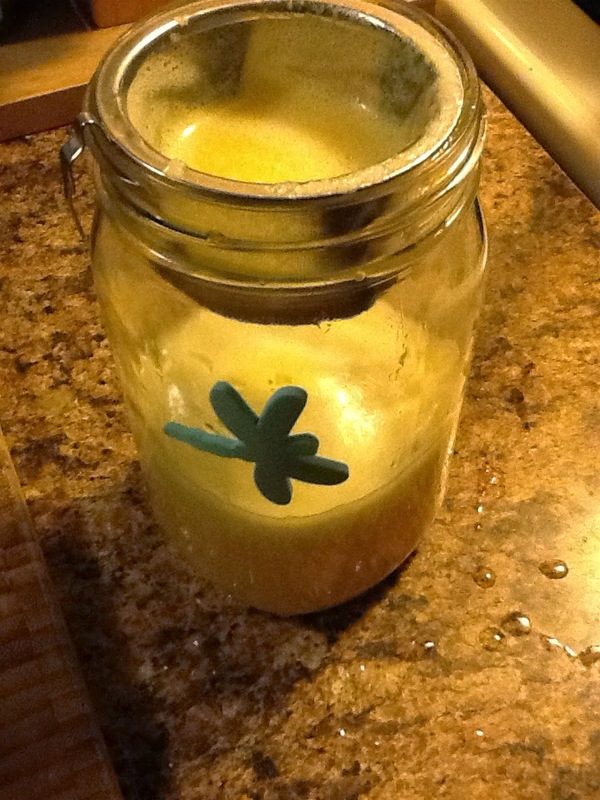 Then I process the fruit through my juicer and strain the pulp. You can leave the pulp, if you like. My kids prefer it without any pulp. Afterwards, I separate the juice into measured quantities and freeze. 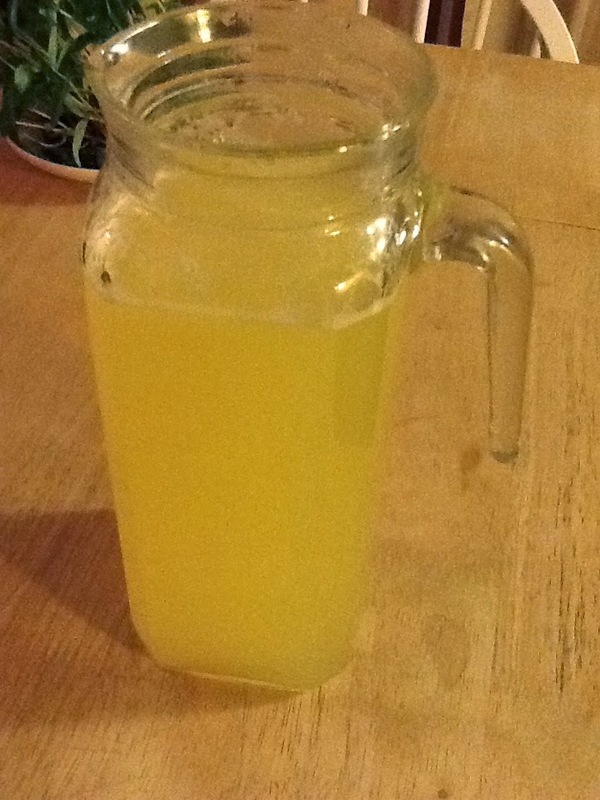 The smaller jars are enough for 1 pitcher of lemonade and the larger jars make about 2 pitchers. I use about 6 oz. of juice to one pitcher of water. I also add approximately 1 teaspoon of stevia to sweeten the lemonade. Lavender- steep a few sprigs in boiling water, strain and add the liquid to the sweetened lemonade. Add a few sprigs to the finished product for aesthetics. Fruit, pureed or whole, such as raspberries, strawberries, blueberries, or watermelon add variety. Lemongrass- simmer lemongrass stalks and steep for 30 minutes or more. Strain and add liquid to lemonade. Make the lemonade with sparkling water for a fancy upgrade.